Mission Statement To assist any person, business or organization to take full advantage of the information dissemination the World Wide WEB and Internet facilitates. The Internet Never before has there been a marketing tool so powerful, flexible, accepted, economical and accessible to everyone as the Internet. 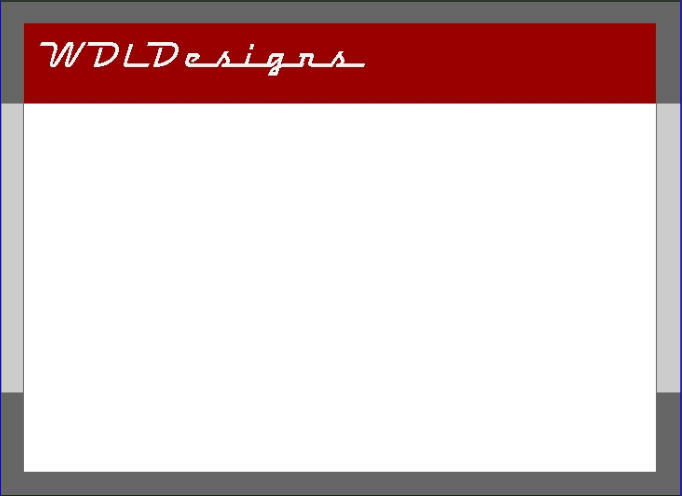 WDLDesigns will work with you to take full advantage of the Internet for your goal. Our Beliefs Less is Better. With the advent of WEB technologies too often WEB sites become busy and cluttered with features that don't really compliment the primary purpose of the site : to get across your message. WDLDesigns specialises in Contemporary designs at reasonable prices. Of course if you want more we can always work with you to get the most from your site. Services WDLDesigns offers a full range of services ranging from consultation on design and implementation all the way up to complete site building and hosting.